You’ve seen the signs in yards that say the property is protected by a home alarm system. Many of you may have watched ads on television about alarms, but never thought much about why you should install one. You live in a safe neighborhood or may even leave your door unlocked when you take the dog for a walk. Even if you feel safe, there is benefits from having an alarm system installed in your home. Those signs you’ve seen announcing an alarm system on the property are the same ones criminals use to avoid burglarizing the wrong homes. Most thieves won’t take the time to try to deactivate the alarm when they know they can go elsewhere for an unprotected property. If you decide to have a system installed, make sure to ask for stickers to put in windows or signs for the yard to prevent criminals from selecting your home as a target. Just this one step can prevent you from ever dealing with an intruder or attempted robbery. Alarms that produce a loud noise when triggered often help stop a crime before it happens. As soon as the criminal hears the alarm, most of the time they will run away. Many alarm systems do double or even triple duty. Besides detecting would-be intruders, they may sound an alert when there’s a fire. If they connect to a monitoring service, help could be on the way even if you aren’t home or haven’t been able to call. Some of these systems provide medical assistance for people who may be sick or injured. These systems are ideal for older people who are homebound or have a history of falling or blacking out. Residents with medical conditions such as seizures may find these systems will save their lives. Many home insurance providers offer discounts to homeowners who have installed an alarm system. The risk of a theft or other event is reduced with an active alarm. Before you invest in an alarm, you may want to contact your insurance provider to find out which systems provide the best discounts. Some providers may require you to have a monitored system while others may offer discounts for any alarm. Don’t be shocked if the discount reduces your insurance rate by 10 or even 20 percent. 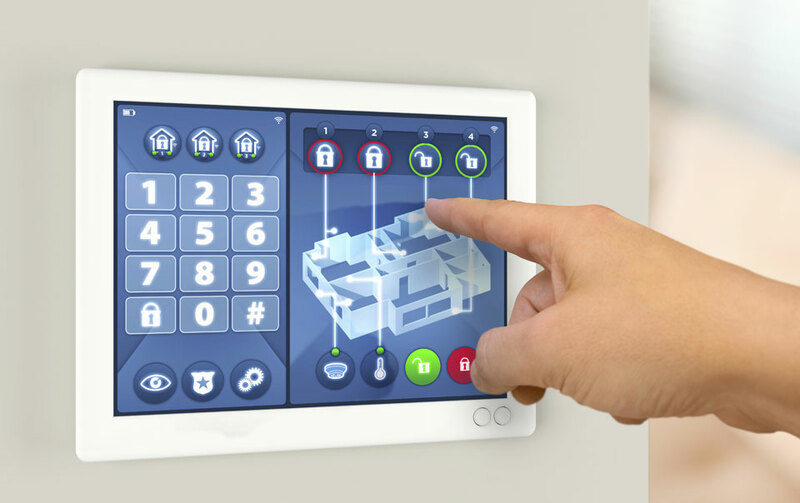 A monitored alarm system can prevent a lot of catastrophes which could lead to a claim. Perhaps the greatest benefit of installing an alarm system in your home is the feeling of security it gives you. It’s easier to go to sleep at night knowing your home is being monitored. If you work at night, you won’t have to worry about your loved ones asleep at home. If you live in a neighborhood known that is growing or if you’ve had a surge in crime, you can rest easier knowing your home is protected. Do your research and find a home alarm system that will provide all these benefits. Once you have a system in place, you’ll wonder how you ever got along with it.